Many organizations and companies are competing to engage veterans and military families in their programs. These organizations must not only create exceptional programs, but also reach their target audiences with a message that compels them to take action. Being part of the veteran and military family communities, ScoutComms can do just that unlike any other firm in the nation. With two weeks to fill a class open to 200 service members, veterans, and military spouses, the Institute for Veterans and Military Families at Syracuse University called ScoutComms to help. 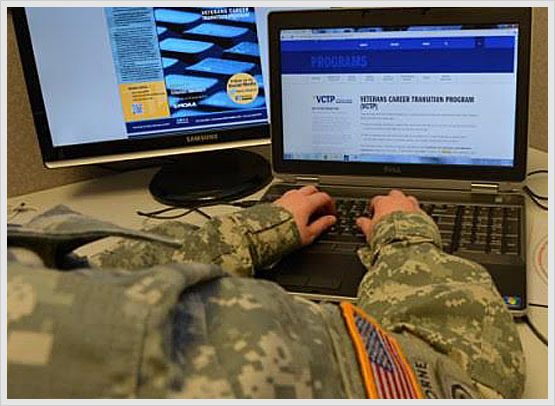 IVMF’s Veterans Career Transition Program (VCTP) offers free online certifications in high-demand fields like information technology, human resources, and project management. Unfortunately that fact was relatively unknown at the time and evidenced by the slow pace of applications. The client wanted to ensure their founding donor saw a return on investment and eligible participants had the unique opportunity to take advantage of this program. ScoutComms was tasked with increasing applications from veterans, transitioning service members, and military spouses. An intense traditional and new media relations campaign commenced that targeted military and veterans-focused outlets and bloggers. Thanks to ScoutComms’ relationships within the military media, VCTP was featured by Army News Service and on the DoD’s official blog. Knowing military spouses were a key demographic for VCTP, ScoutComms reached out to our network of spouse bloggers who eagerly spread the word about the free career program. Our colleagues in social media at various veteran-serving organizations also spread the word to their hundreds of thousands of followers. Our efforts resulted in an unprecedented number of applications for the program. In just two months, applications increased by 53 percent and classes were filled to capacity.